Posts tagged "private luxury yacht charter"
Need a little incentive to press on with your plans to enjoy a 7 night Tahiti yacht charter? 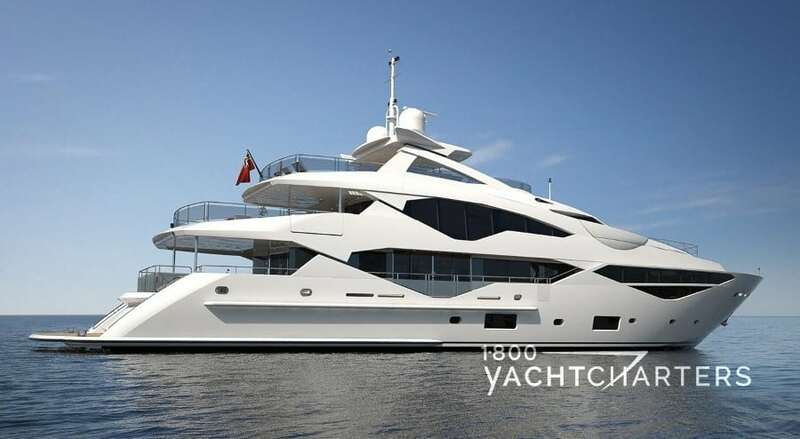 Perhaps saving over $100,000 off the regular weekly rate of a 191 foot megayacht might do the trick! The 58 meter Trinity yacht charter superyacht UNBRIDLED has just announced a major price reduction to entice luxury travelers to come explore the exotic locale of Tahiti and the islands of the South Pacific. Currently enroute to Tahiti, motor yacht UNBRIDLED has converted her rates from Euro €329,000 per week to USD $300,000 per week for the months of March and April, 2012. The currency conversion equates to a price savings in US Dollars of approximately $132,660 – about a 30% discount. 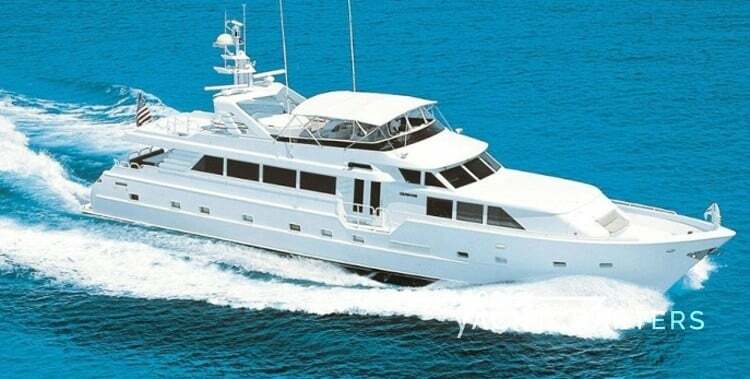 Built in 2009 in the USA by Trinity Yachts, the five stateroom vessel offers accommodations for 10 guests, complimented by a crew of 13. WHERE IS SHE HEADED NEXT? After spending late spring in the south Pacific, Motor yacht UNBRIDLED will continue her world tour. Premium dates remain available for charters in the Mediterranean in the summer months. 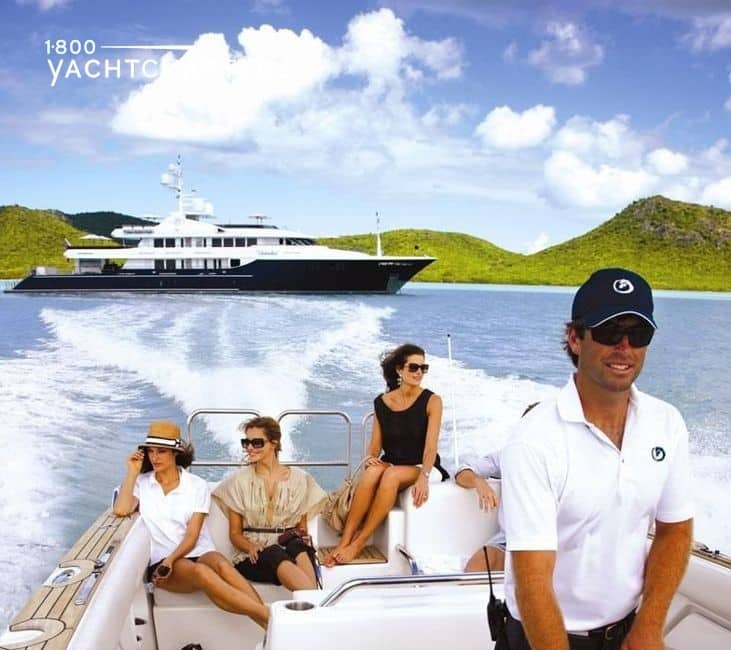 Contact 1-800 Yacht Charters at https://www.1800yachtcharters.com/explore-our-yachts/unbridled/book-now/ to reserve prime dates onboard UNBRIDLED. Entering her third season in the Mediterranean, motor yacht LYANA looks as fresh and inviting as the day she launched. The Benetti yacht charter vessel is the epitome of elegance, and someone has effectively blended contemporary style with classic touches. The 60 meter Benetti yacht LYANA and her crew are now seasoned veterans, ready to deliver a highly satisfying summer charter. Capable of cruising at 14 knots, Western Mediterranean destinations, such as the Amalfi Coast, Corsica, Sardinia, Monaco, St Tropez and the Côte d’Azur are within easy reach.Let’s take a closer look at M/Y LYANA – Her interior was designed by Paris-based Pierre-Yves Rochon and offers classic shapes, set in a color scheme of beige and crème for furnishing and upholstery, all framed by dark lacquered wood for cabinets and joinery. A collection of fine artwork by Botero, Dali, and others is spread about the interior. Starting on the main aft deck, a large U-shaped sofa offers a comfortable welcome, effortlessly seating 12. A set of white upholstered wooden armchairs and two additional semicircular sofas give the aft deck ample seating. This is the perfect setting for entertainment. From the aft deck, you enter the main salon through large sliding glass doors. Warm and welcoming, the saloon highlights the yacht’s sublime delivery of classic design couples with modern shapes. One charter guest described this area as, “Tasteful, with an overall calm and hospitable feel.”Forward of the main salon is the formal dining area. Again, classic elegance has been embellished with a contemporary color palette. What a perfect location for a sophisticated dinner party. A central spiral staircase connects all interior decks. Adjacent to this central area is the owner’s office which serves as the entrypoint to the master suite. Lavishly spacious, this room has the look and feel of a fully-equipped spa. The massive bathroom features a rainforest shower area with hydro-therapy jets. The stateroom itself is bathed in natural light via a circular central skylight, and a semicircular array of windows that turn this room into a luxurious private observation lounge with panoramic views beyond the yacht’s bow.Motor yacht LYANA can accommodate up to twelve guests, with additional staterooms found on the upper and lower decks. Located on the lower deck, two doubles and two twins can be found, all adjacent to the central staircase. Each cabin has sumptuous ensuite bathrooms. On the upper deck, a VIP suite doubles as both an extra stateroom as well as a massage and wellness area. A licensed masseuse is onboard and at the guests’ disposal. The aft section of the upper deck features an open-air saloon where a bar, games table, and multiple seating arrangements can be found. The large space allows for both intimate dinner parties as well as elegant cocktail parties. Last but not least is the sumptuously-sized sun deck. Primary features include the Jacuzzi area, with tub, big sun pads, and an extended lounging sofa. The central section offers shade from the sun under a hard top and an area to use the onboard gym equipment (including rowing, running and Pilates machines and a trainer bicycle). For guests preferring to get their exercise in the water, there’s a large beach club deck, located at the yacht’s stern.Simply put, this is an amazing yacht and her collection of amenities, combined with her sense of style, make her a perfect choice for any charter. Charter rates from €320,000 per week. The massive new 70 meter motor yacht HIGH POWER III (ex-Numptia) has been continually in the news since her late 2011 launch. 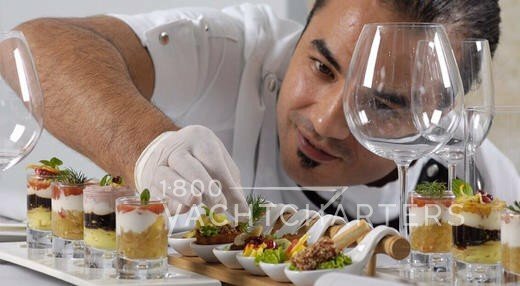 The yacht has gained notice for her award-winning chef, Heather Kaniuk, as well as her unique and elegant wellness spa deck. 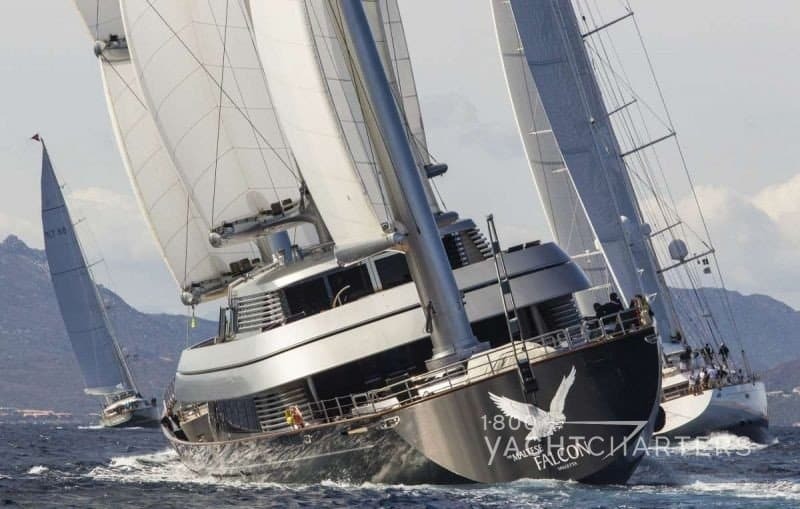 Now comes word the Caribbean yacht charter vessel hopes to lure more US-dollar business, by combining a rate reduction with complimentary extra charter days. Effective immediately – for each week of charter booked, the customer will receive an additional 2 FREE DAYS OF CHARTER. 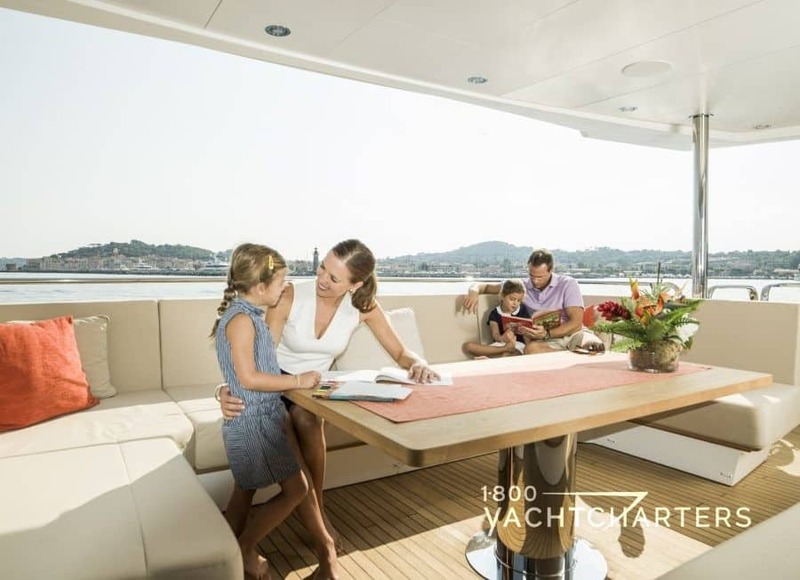 Thus, charterers can pay for 7 days and receive two more complimentary days onboard Rossi Navi luxury motor yacht HIGH POWER III (ex-Numptia). In addition to the free days, the yacht has converted her rates – from 490,000 EUROS per week to 490,000 US DOLLARS per week. The effect of the foreign currency conversion results in a real dollar savings of $144,000 per week – the equivalent of a 23% price break. All rates are plus running expenses. The Italian-built superyacht features accommodations for 12 guests. Onboard amenities include an elevator between all decks, fireplace, super inflatable slide, and a massive 3D big screen TV. High Power III’s unique spa deck offers a fully-equipped gym, steam room, sauna, beauty salon, and massage room, plus forward exterior bar & dining areas on the spa deck to create the ultimate at-sea oasis. Come enjoy a wellness vacation aboard motor yacht HIGH POWER III. 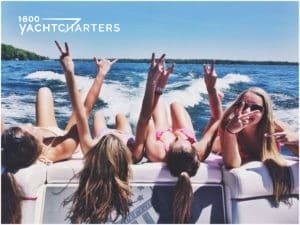 For reservations, contact 1-800 Yacht Charters at https://www.1800yachtcharters.com/explore-our-yachts/high-power-iii/book-now/. Planning a yachting holiday this year? 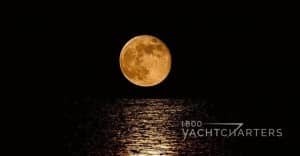 If you haven’t selected your specific dates yet, here’s a great idea to add a little extra, “Pizzazz” to your superyacht experience: Select your charter dates to coincide with the cycle of the full moon! There’s just something extra special about being anchored in a protected cove with a sea of stars above, when suddenly, a rust-colored orb begins to appear on the distant horizon, pushing slowly into the air. As it rises, the color changes from rust to white, growing brighter and brighter by the minute. Finally, the bright full moon ascends to its lofty place among the stars above, casting lunar light across your yacht’s deck. You sit with your family and friends, mesmerized by the natural beauty of the night – grateful to be at sea enjoying this special experience together. To help you plan a moonlit yacht charter holiday, here is the full moon calendar for 2106. Keep in mind that you’ll have nights both before and after the full moon that will add plenty of moonlight to your adventure. Which full moon date from our calendar would you most like to experience this year? Please leave a comment below! Let a yacht charter specialist help you organize a true superyacht experience – from choosing the right destination, to selecting the right wine for dinner! 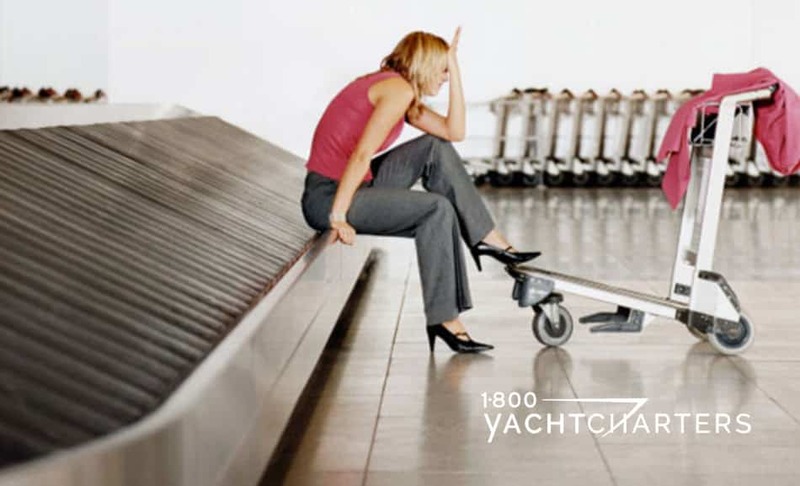 Contact the team at 1-800 Yacht Charters today. Call 305-253-7245 (Florida and international) or 1-800 922-4824 (toll free North America). Our Monegasque friend, James Graham-Cloete of Thompson Westwood and White Yachts, managers of motor yacht DOUBLE DOWN, dropped us an email last week. Knowing we’re big fans of this 65 meter Codecasa and her amazing captain, Charles Dugas-Standish, James seemed excited to share the news about the superyacht and her newest watertoy. We were certainly intrigued, as a multi-repeat client of ours enjoyed 10 days exploring Greece onboard this spectacular yacht and raved about the vessel’s condition, amenities, and the crew’s outstanding silver-service. “DOUBLE DOWN has a magnificent new towed tender for the Mediterranean season – a 42ft (12.8m) MTI with centre console and 4 x 300 HP engines,” wrote James. The MTI V-42 center console tender added to the stable of watertoys onboard Codecasa motor yacht DOUBLE DOWN is simply a beast. With quad 300hp power, this 42 ft tender can cruise at 40mph, and hit top speeds in excess of 70mph. The tender’s unique hull design yields straight, stable handling at all speeds. Indeed ride and performance are important, but so are luxurious amenities and comfort. The seats are quite comfy for long-range cruising with the double-wide forward lounge the most comfortable. Speakers seem to be everywhere on this tender, so listening to your favorite tunes is a breeze, even with the engines at full throttle. Captain Charles and his crew of 17 are currently enjoying yacht DOUBLE DOWN in the summer Monaco yacht charter season. To kick off the season, the yacht secured a berth in Monaco at the Monaco Yacht Club for client who were interested in a Monaco Grand Prix yacht charter. They are on the ball! With 8 large guest staterooms, this 65 meter superyacht boasts excellent flexibility for guest sleeping arrangements. 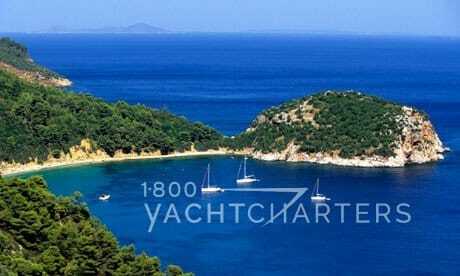 Come enjoy The Superyacht Experience in the Mediterranean as only 1-800 Yacht Charters can deliver. Text DOUBLE DOWN to 305-720-7245 or email us at info@1800yachtcharters.com for information on how to charter this incredible yacht. Book This Virgin Islands Yacht Charter Vessel And We’ll Give You OUR Bonus! SPECIAL OFFER – EXCLUSIVELY FOR YOU! 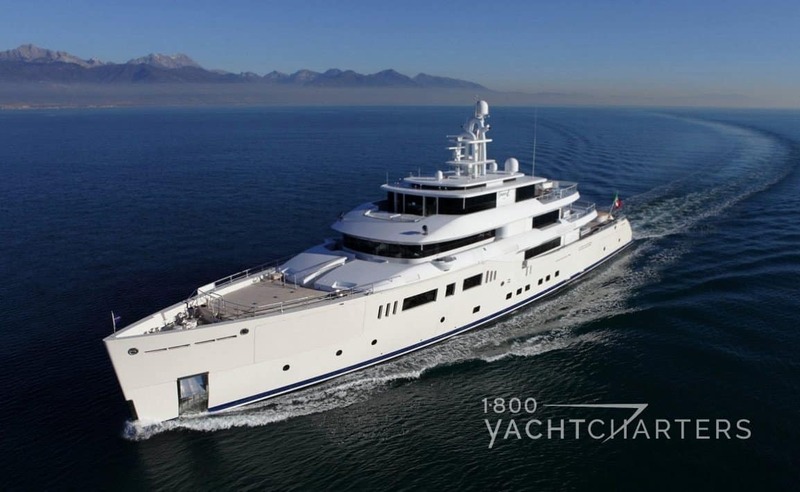 The manager of 100 foot superyacht INSATIABLE reached out to us today. Seems the owner of this super-popular Virgin Islands yacht charter vessel wants to shore up a gap in his reservation calendar and has offered us an incentive to secure a booking during the last two weeks of January, 2017. Per the yacht’s manager, the owner of Broward yacht INSATIABLE has graciously offered us $1000 for any 7-night yacht charter Virgin Islands reservation we can deliver, to close his calendar for January. We’ve got a better idea!!! 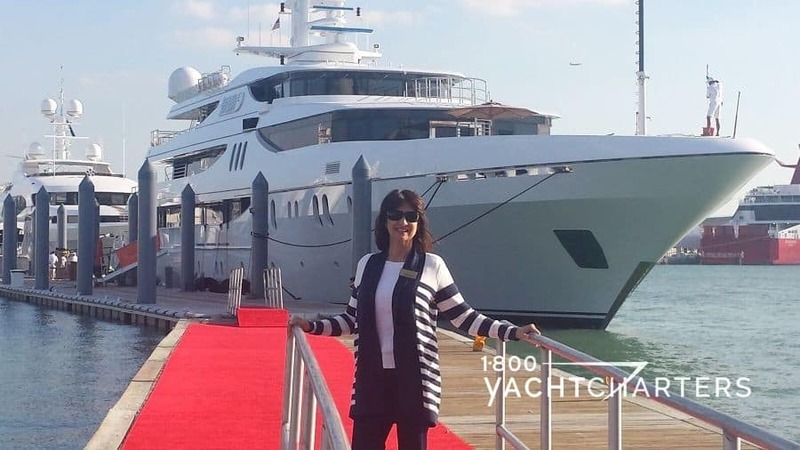 In the spirit of Jana Sheeder, President of 1-800 Yacht Charters and her Team’s belief in Generosity and Giftivism, AND to start your year off right, if you charter yacht INSATIABLE through 1-800 Yacht Charters, for either the third or fourth week of January, 2017, in the British and/or US Virgin islands, we’ll pass our $1000 bonus on to you – in the form of an instant rebate. This is an exclusive offer – only available from 1-800 Yacht Charters – with our compliments. 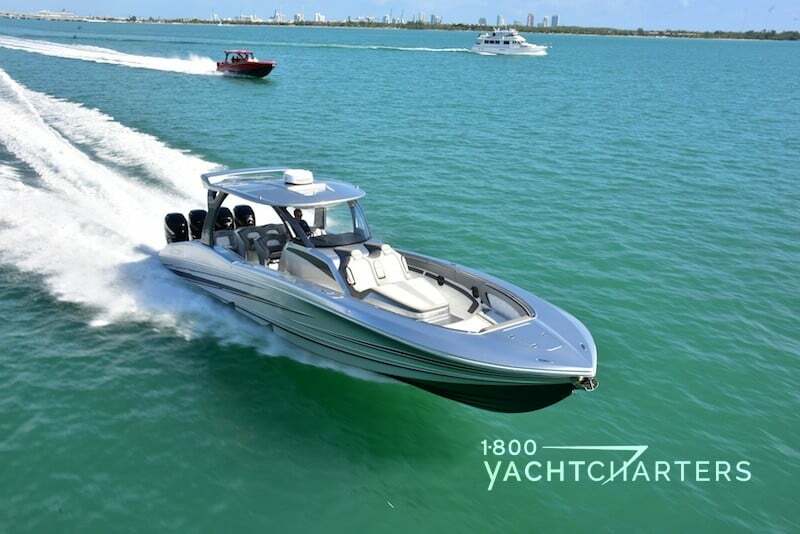 A second tender, a 14′ Novurania with 50 mph – excellent for towing a wake board or water-skiing. Calling yacht charterers and guest bloggers! Have you chartered a new private luxury yacht? Have you been on a superyacht at the Monaco Grand Prix or relaxed at the Cannes Film Festival aboard a chartered Feadship yacht? Have you chartered a bareboat (yacht without crew) anywhere in the world and want to share your experience with others? 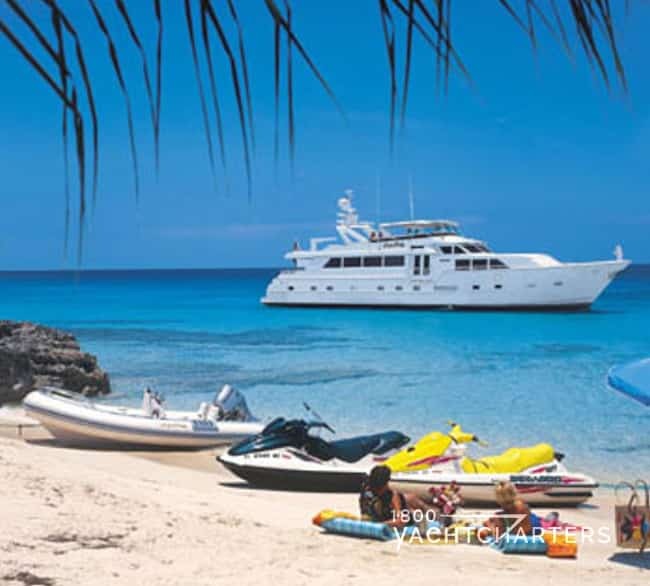 Was your luxury sailing charter in St Martin the most incredible vacation you’ve ever taken? If you have NOT yet done these things, yet have ideas for blogs you’d like to read about super yacht charters, crewed catamaran charters, yacht charters in the Bahamas, or anything related to the luxury yacht charter industry, please let us know! We will be happy to write about them (and will give you credit AND send you a special gift as a token of our appreciation for your interest)! We’d also love for YOU to submit a guest blog to educate the internet about yacht chartering or boat rental destinations like Greece, Italy, France, The Bahamas, the Florida Keys, New England, The Intracoastal Waterway, The Virgin Islands, St. Kitts, Nevis, Tortola, the British Virgin Islands, St. Maarten, The Thousand Islands, Canada, Alaska, Sardinia, Corsica, Turkey, Thailand, Turks and Caicos, Miami, South Beach? Join us, Guest Bloggers! Tell the world about the luxury super yacht charter industry or your vacations at sea! Want to write a guest blog post about yacht charter vacations? Want to tell the world about the Bahamas or the Greek Islands? Want to share your experiences swimming with wild dolphins in the Bahamas aboard your yacht charter? Contact us HERE to blog with us!